Jorge Ortega previously spent 19 years at Burson-Marsteller. MIAMI: Newlink America founder and managing partner Jorge Ortega has joined Burson-Marsteller for the second time to serve as EVP and MD of the firm’s Miami office. Ortega, who established Newlink America in 2010, previously spent 19 years at Burson in roles such as Mexico GM and regional chair for the Latin America brand communications practice and US Hispanic unit. In his new role he reports to Ramiro Prudencio, CEO of Burson-Marsteller Latin America. Prior to Ortega, Burson’s Miami operation was led by Claudia Gioia, who recently became president and CEO for Latin America at WPP sister firm Hill+Knowlton Strategies. Ortega was unable to comment on who will succeed him at Newlink America, which serves as the US Hispanic-focused arm of Latin American communications firm Newlink Group. Representatives from Newlink were not immediately available for comment. 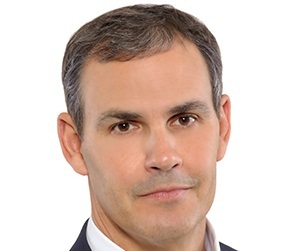 At Burson, Ortega’s responsibilities include managing a team that specializes in brand communications, public and corporate affairs, reputation management, crisis comms, and digital strategies. He will also play an integral role in expanding Burson Latino, the agency’s US Hispanic offering. The Miami office serves clients in Florida and the Southeastern US, as well as acting as the firm’s headquarters for Latin America. "To build an interesting business [in Miami] from an agency perspective, you need talent that can service Florida-based companies, like Bacardi, which is a client of ours; that can help Latin American companies access the US market; and that can help multinational companies, US and others, to access Latin America," Prudencio explained. Ortega previously launched Burson’s US Hispanic offering in 2001, which according to Prudencio was the first time a global PR firm set up a practice focused on the US Hispanic community. Michael Law, US CEO of Burson, said helping clients engage the Latino community in the US is a "big part of our plan for this year and even more so in 2016 with the presidential election cycle." Unlike some other Miami-based firms that become pigeon-holed as solely providing Hispanic services, Ortega said Burson allows him to help clients with US Hispanic marketing and communications along with a wide range of other global offerings. One of his goals is to raise awareness of the agency’s US Hispanic services among businesses and executives in Miami, which he called "a very powerful market in the US in terms of its diversity and economic and political influence." Prior to founding Newlink America, Ortega was the president of JeffreyGroup. Before that, he held his most recent role at Burson as chairman of the US Hispanic practice. Burson’s Latin America network is compromised of 13 wholly owned and three affiliate offices across 13 countries in the region.